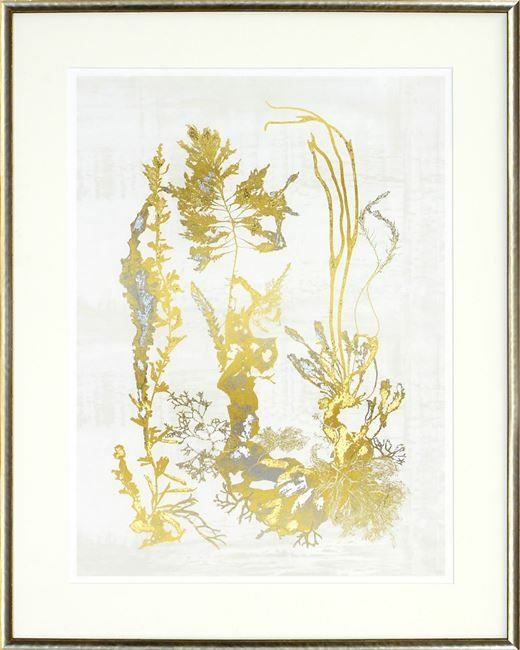 Delicate seaweed embellished with touches of gold and silver gild. 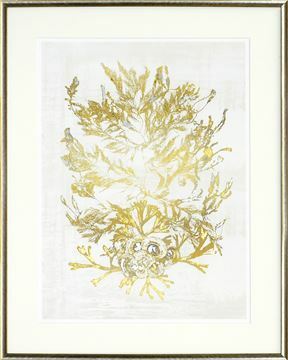 A careful composition of delicate seaweed embellished with touches of gold and silver gild will beautifully grace any decor. 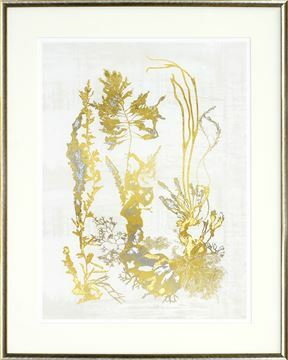 It is enhanced with a distressed grey wood frame with polished silver face and neutral matte.